Irish Trucker & Light Commercials caught up with Engine & Truck (N.I) Managing Director Trevor Buchanan who filled us in on their exemplary track record when it comes to supplying quality automotive, CV and engine parts to their long list of valued customers. Engine & Truck (N.I) Ltd has been a permanent fixture on the Northern Ireland motor trade landscape in one guise or another for over six decades. As main suppliers of automotive components including engine, commercial vehicle, passenger car and light commercial, they have been trading in Northern Ireland as (Edmund's Walker) for over 60 years and as Engine and Truck (N.I) Ltd since 2002. Under the supervision of Managing Director Trevor Buchanan, Engine and Truck strive to provide the highest level of customer service and fulfill all of their customers’ motoring needs by assuring them of their commitment to offer a quality products and service coupled with attention to detail. They are renowned for supplying high quality engine parts at a competitive price. From industrial and marine to commercial and passenger car applications, they only use original equipment from (OE) manufacturers. “The vast majority of our customers have been dealing with us a lifetime,” revealed Trevor Buchanan who has 45 years of experience in the trade under his belt, “and we supply a lot of the blue chip companies based here in Northern Ireland. What are the key attributes that separates Engine and Truck (N.I) from its competitors? “I would say it is down to the fact that we service all of Northern Ireland on a same day, next day basis. There are 16 engine re-conditioners here in Northern Ireland and we service all of them on an every day basis. Our work takes us to all corners of Northern Ireland. In the fast-moving industry of car and light commercial components first pick availability and delivery are paramount at Engine & Truck. From service parts like filters and oil to alternators and starter motors, they have the extensive knowledge and buying power to give their customers unrivalled service every time. 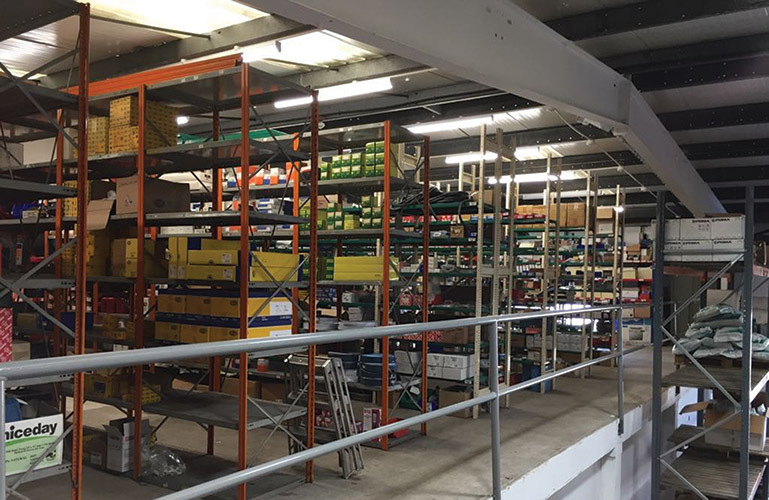 An ISO9001:2008 accredited company, Engine & Truck NI boast 7000 square feet of floor space in Belfast with over 170,000 product lines across a broad spectrum of components. Last year they proudly announced a new service partnership with Irizar UK to supply all genuine Irizar parts for Bus & Coach in Northern Ireland. They are constantly updating their stock to meet the demands of today's customers, and commercial vehicle parts are no exception. Last, but by no means least, Trevor paid tribute to his loyal and dedicated workforce. It is Engine & Truck’s people that deliver value to their customers and the continuing success of the business stems from the experience and dedication of their staff. The collective knowledge and commitment of their employees underpin their well-deserved reputation for satisfying their customers’ needs at all times. The new member of staff that Trevor referred to is Michael Evans who he intends to hand over the baton to at some point in the future. It will be business as usual then!